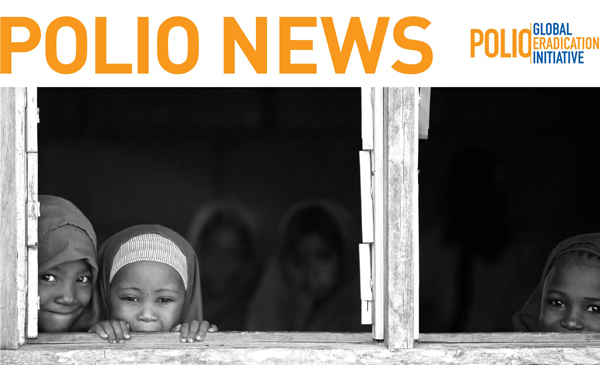 This month, the global polio programme came together in key moments of celebration and collaboration. GPEI leaders and staff observed International Women’s Day (8 March) by recognizing the leading role of female health workers in the charge against polio, and – just weeks later – marked five years since the WHO’s South-East-Asia region was certified polio-free (27 March). Amid these celebrations, the programme continued to make new strides against the virus, convening donors, experts and health officials for key meetings in Geneva and Brazzaville. Health workers on the front lines vaccinated hard-to-reach children, drivers transported vaccines to warehouses, and surveillance officers worked to quickly and effectively track down the virus.